Walker's Haute Route West. Guided walking holiday from Chamonix to Arolla. The Western part of the Classic Walker's Haute Route is a great start for those wishing to tackle the Haute Route, but who may not have the time to complete the full tour in one holiday, or who prefer to break this challenging trek into two smaller parts. It follows the exact route of the Classic tour from Chamonix to Arolla. 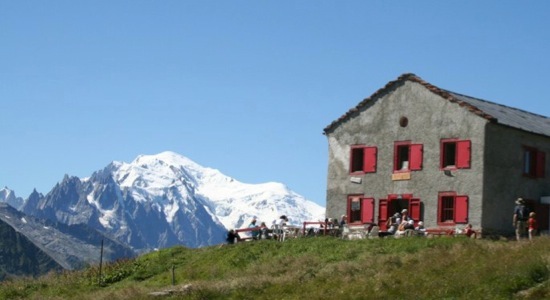 This section includes hiking over the border between France and Switzerland and the remote and rugged section between Verbier and Arolla where two consecutive nights are spent in mountain huts. Hotels, auberges and mountain huts. Add one or more extra days in Chamonix or Arolla at the start or end of your trip. Contact us for details.